Deep purple color. 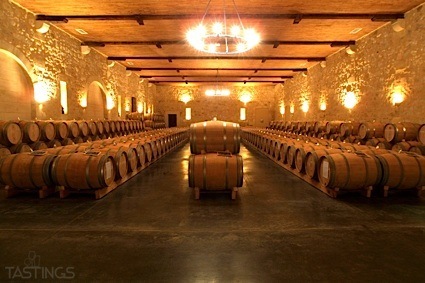 Fresh, fruity aromas of roasted red pepper, cocoa dusted cherry, cafe latte, and fresh berries with a slightly chewy, bright, fruity medium body and a smooth, brisk cassis, roasted carrots and beets, and chocolate taffy finish with medium, dusty, cottony tannins and moderate oak flavor. A fruit-forward, everyday red. Bottom Line: A fruit-forward, everyday red. 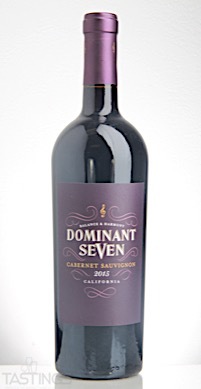 Dominant Seven 2015 Cabernet Sauvignon, California rating was calculated by tastings.com to be 85 points out of 100 on 9/12/2017. Please note that MSRP may have changed since the date of our review.